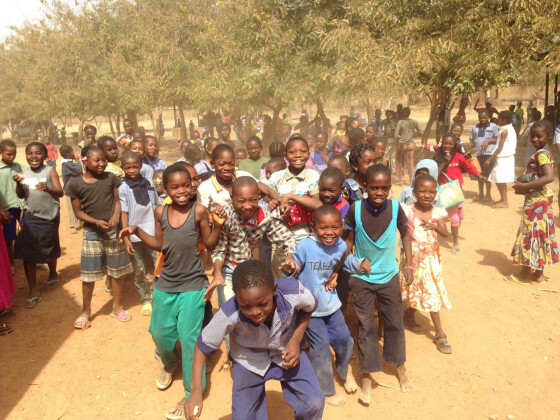 La Renaissance (supported by Burden's Charitable Foundation) is a primary school established in 2004 in Ouagadougou, the capital of Burkina Faso, West Africa. Burkina Faso is a country of 16 million people where 80% have an agricultural or subsidence living and due to a rural exodus 20% now live in or near the capital. La Renaissance is an inclusive school incorporating children from all backgrounds with a range of different abilities and needs, specifically those who are visually impaired who would not otherwise have access to education. In a country where overcrowded classrooms are common (90 pupils in a class) La Renaissance tries to limit the class sizes to 50 pupils with each classroom supported by two teachers who are literate in Braille. There are currently six classrooms and the intake has grown to 351 today, while 2,511 pupils have benefited from an education at the school over the last 10 years. The costs are rising as numbers grow, with an increasing demand to build and run a secondary school. Without the on going commitment of BCF and its supporters the future of the primary school is at risk and plans to move on to secondary education will have to be shelved or abandoned.